The Kitsap Peninsula, west of Seattle, is an oasis for people who love the outdoors. Thanks to its remote location across Puget Sound, this region is less visited than other areas just outside of the big city and maintains a more peaceful, easygoing way of life. 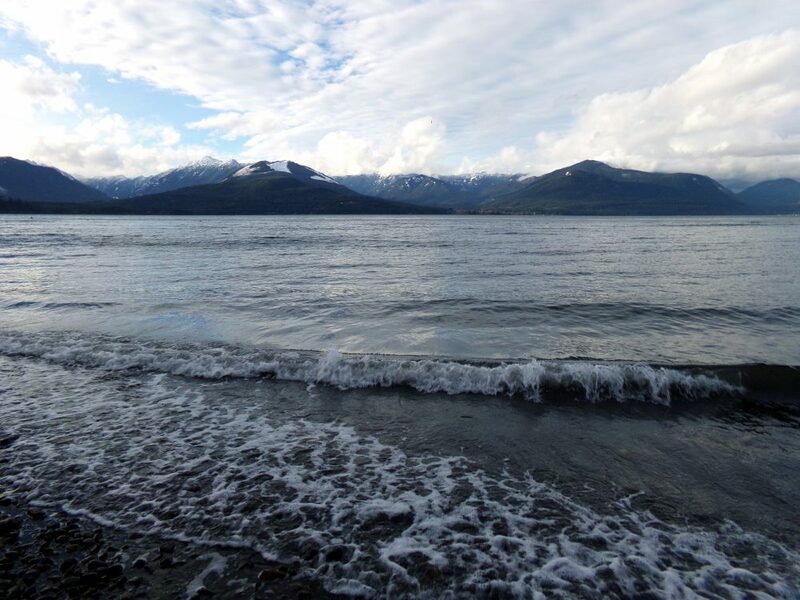 With shoreline along Puget Sound and the Hood Canal, this area has scenic beaches and opportunities for boating, kayaking, fishing, and other water sports. There are also miles of trails through the woods, small towns with memorable shops and restaurants, and state parks with low-cost campsites and views of the Olympic Mountains. Scenic Beach State Park, Washington. Photo by Nikki Cleveland. You can reach the Kitsap Peninsula by catching a ferry from Seattle or Edmonds (RVs and vehicles can board, but the ticket costs more), driving north across the Tacoma Narrows Bridge via WA-16 and Highway 3, or heading eastbound from the coast via Highway 101 and State Route 104 across the Hood Canal Bridge. On the north end of the Kitsap Peninsula, there are day trip destinations like Port Gamble and the “Little Norway” village of Poulsbo. Port Gamble is a quaint old logging town with New England-style buildings that house antique and gift shops. You can also see their beautiful waterfront downtown, the old-fashioned Port Gamble General Store (upstairs is a free Sea & Shore Museum, downstairs is a shop and cafe), and the town’s iconic water towers. The waterfront along Liberty Bay, Poulsbo, Washington. Photo via Wikipedia. 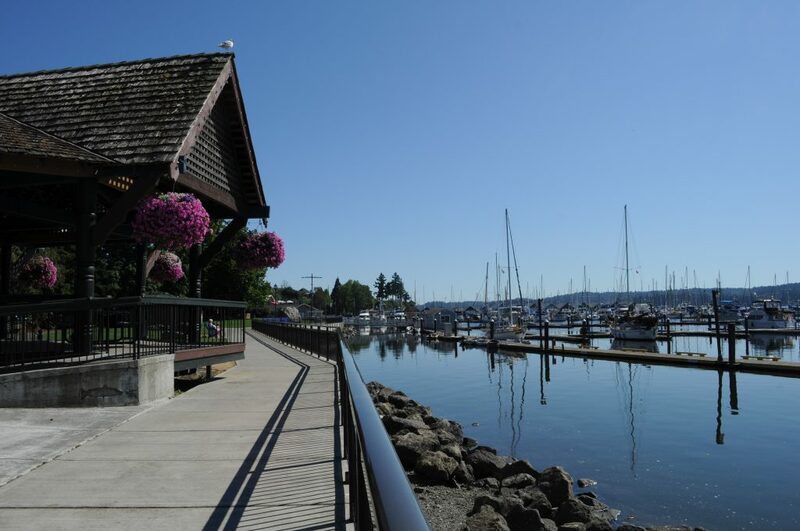 Poulsbo’s downtown shows off their Scandinavian heritage with Norwegian-style buildings, shops, restaurants, and cafes. Stop in Sluy’s Bakery and try their world famous bread, delectable donuts and other pastries. A block down from Front Street, the town’s sparkling waterfront along Liberty Bay is dotted with yachts and sailboats. Grab a picnic table in the waterside pavilion to relax and eat with a view. South of Poulsbo (via Highway 3) the shopping mecca of Silverdale has everything you need and beyond. The city is packed with local and chain restaurants, a huge mall, and regional stores like Costco and Goodwill. If you’d rather get away from urban areas, visit one of the area’s many underrated parks like Scenic Beach State Park. A short drive west of Silverdale, this park in Seabeck has private shaded campsites in the woods and rocky shoreline along the Hood Canal with Olympic Mountain views. There are no utilities, but the campground does have potable water and a dump station. Guillemot Cove Nature Reserve is only five miles from the park with more shoreline and hiking trails, one of which leads to a hobbit-like “Stump House”. Another scenic option along the Hood Canal is Kitsap State Park just north of Poulsbo. The park has tent and RV campsites with full hookups, hiking trails, picnic tables, saltwater shoreline, and cabins available to rent. In Port Orchard, Manchester State Park has more wooded RV sites with water/electric hookups. 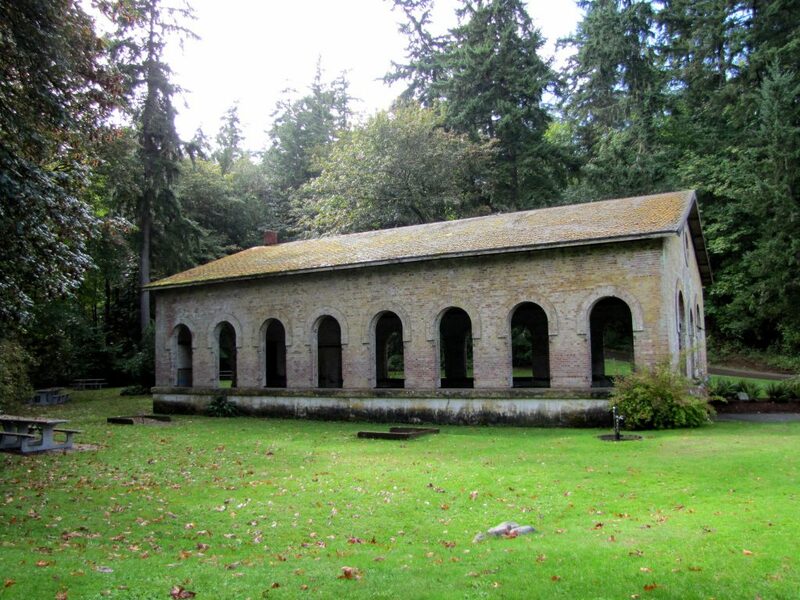 The park is in a private location along Puget Sound with shoreline, woodsy trails, a picnic area, and old military bunkers that you can still see today. Of course, there are RV parks and resorts in the area as well if you want more amenities. Some of the popular local parks include Cedar Glen RV Park and Eagle Tree RV Park, both of which make perfect home bases to park the RV while you catch a ferry into Seattle. While you’re on the Kitsap Peninsula, don’t miss the lush forest, wineries, shops, and restaurants on Bainbridge Island (across Agate Pass Bridge from Poulsbo). Also make sure to venture out west to see the rainforest and ocean beaches on the Olympic Peninsula.